Bolivia. 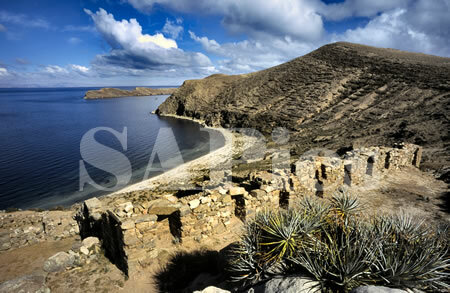 Lake Titicaca at an altitude of 3,800m in the Andes mountains is home to many Inca legends. The Island of the Sun holds a number of Inca ruins, including the Labyrinth at Chincana.